To read this page in Dutch. 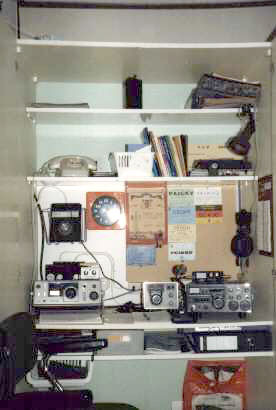 In the early eighties I became interested in everything about amateur-radio. One of the reasons was that some of my relatives were already radio amateurs, PAØUBR and VK5NVQ. It was March 1983, my father came home and surprised me with a receiver and a small antenna with a magnetic base. This receiver (Cuna SR-9) is for receiving FM signals in the 2M band. For almost a year I used this receiver + antenna, only to listen to local radio-amateurs. This antenna, a wire of 50cm does not really supply DX on the receiver. Therefore a 4 elm. yagi + GP was built on top of the roof. In March 1984 I became a member of the VERON , division A43 and applied for a listening identification (NL-9514) at the same time. In January 1986 I bought a short wave receiver, the Trio R-1000 with an antenna tuner of MFJ, model 16010. Together with a 16 meter dipole behind my desk I hear a lot of qso's (contacts) and send qsl-cards all over the world. In this period as SWL (Short Wave Listener) 15M is my most popular band. In the morning before I go to school I very often listen on 80M and not without results. The qso's I notice in my logbook are with SSB (talk), CW (morse) is still unknown to me at that time. In May 1988 it's the end of my only listening period on the HF bands. In this period as SWL I heard 169 countries, 73 of these countries were confirmed by qsl. 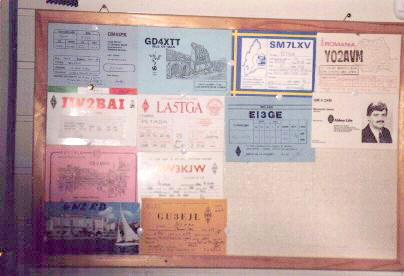 A few of the received qsl's on this page. 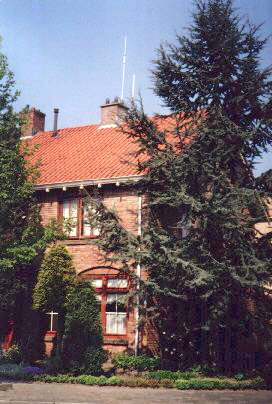 For more information about SWL you can visit the site of G4NJH. 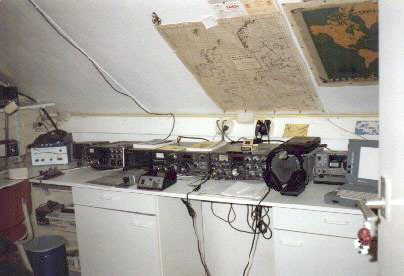 If you like to know more about listening to broadcast stations on short wave you can visit the BDXC (Benelux DX Club) site. The Dutch part of this page is complete with the full story. A few qsl's of qso's made on 2M via Tropo, Es and Aurora. ¹ Section B is in the WAP-contest participant on 70CM. ² Section C is participant with qrp-power, in one season there are more contests, The ranking is the total of all the contests. ¹ On 80 and 15M only with CW. ² This is not the addition of all bands. ¹ This is not the addition of all bands.